Resource center What Is OxyContin and How Is It Abused? How Long Does Oxycontin Stay in Your System? OxyContin belongs to the family of opioid (narcotic) prescription pain relievers. The active ingredient in OxyContin is oxycodone. Considered a semi-synthetic, OxyContin and oxycodone are similar to the chemical structure of morphine, which is made from the opium of a poppy plant. OxyContin, like morphine, acts on opioid receptors in the brain. While the drug has a pain-relieving effect, at certain dosages, it can produce feelings of euphoria. Brand names drugs containing oxycodone (and hence are similar to OxyContin) are Tylox, Percocet, and Percodan. Lawful prescription users of OxyContin take this medication on a continuous basis as part of a structured pain management plan; OxyContin is not taken on an as-needed basis. Despite the lawful manufacture of OxyContin and its regulated medical usage, this opioid has become a formidable drug of abuse on the illicit drug landscape because of its euphoria-inducing effects. While OxyContin is inherently habit-forming, those who abuse this drug may use it in a way that expedites the time in which it takes to become addicted. For instance, taking too much OxyContin or altering the intended method of administration (e.g., crushing and injecting or snorting the drug) presents a high risk of developing an addiction to this narcotic. The faster the induction into the OxyContin high, the more quickly a person can become addicted to this opioid. In order to gauge how long OxyContin remains in the body, it can be helpful to know the length of the estimated detection windows by detection method. On average, OxyContin use can be detected in urine for up to 3-4 four days, in blood up to 24 hours, in saliva 1-4 days, and in a hair follicle up to 90 days. However, the true length of time OxyContin remains in the body depends largely on the person’s individual metabolism. Opioid metabolism is influenced by a person’s race, genes, and certain medical conditions, such as liver or kidney disease. Metabolism is a key player in overdose and other dangerous side effects of OxyContin abuse. Depending on a person’s body, OxyContin may metabolize so slowly that toxic effects result. These toxic consequences can result directly from the ingredients of OxyContin or from metabolites that are released during the metabolism process. When a person takes OxyContin in any form not consistent with a medically supervised pain management plan, it is essentially like playing a game of Russian Roulette with one’s health. No one can accurately gauge the impact OxyContin abuse will have, and personal reactions change over the course of the abuse timeline. An understanding of how an Opioid travels through the body can provide insight into how long it stays in one’s system. This information can also help to make a person aware of the dangers of abuse. Most opioids pass through the liver before entering a person’s circulatory system and then the brain. A healthy liver can help to break down OxyContin and send it through to the circulatory system at a regular or even expedited pace. However, an unhealthy liver, such as one scarred from alcohol abuse or a disease (e.g., cirrhosis) can slow down the process, increase toxicity in the body, and cause further damage. To look at oxycodone metabolism in specific, two pathways are primarily associated with the breakdown of this drug: two enzymes known as CYP3A4 and CYP2D6. The CYP3A4 pathway metabolizes oxycodone to noroxycodone while the CYP2D6 metabolizes oxycodone to oxymorphone. Typically, drug tests detect noroxycodone in the body while oxymorphone is only present in small amounts. 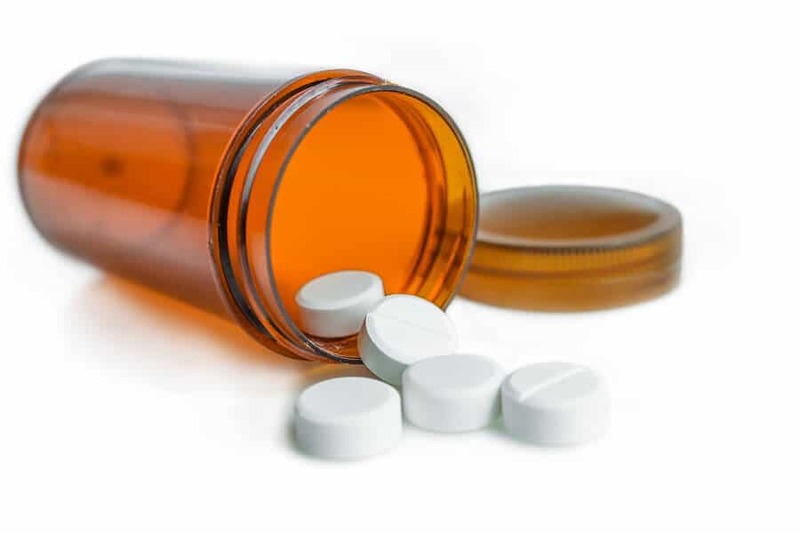 While the biological components of OxyContin metabolism can become too technical and specialized for the general public to place focus, it is helpful to understand that a person with an impaired CYP3A4 or CYP3A4 pathway may be vulnerable to experiencing OxyContin toxicity. The risk of toxicity will likely only rise with OxyContin abuse. As evidenced from this discussion, the question of how long OxyContin remains in a person’s body system inevitability runs into concerns about toxicity. As an OxyContin overdose can lead to a fatality, it is critical to be mindful not only of the potency of this narcotic but also the great variation in metabolism factors between people. At present, admission to a structured rehab program is considered to provide the most effective treatment response for OxyContin addiction.